A 1980 Santa Pez from my grandpa. I think PEZ collecting is super fun. They are super neat. I would suggest starting small by just get a few here and there! Because if you buy in bulk, your wallet may not be too happy. Also make sure you have space to either display or store your PEZ before purchasing. I have over 120 that I have to put away because I do not have room to display them at this time. Where to find PEZ: you can find PEZ in many different locations such as Five Below, Target, Walmart, Grocery stores, candy stores, and many more. I find it more enjoyable finding the PEZ while you're out shopping instead of purchasing them online. 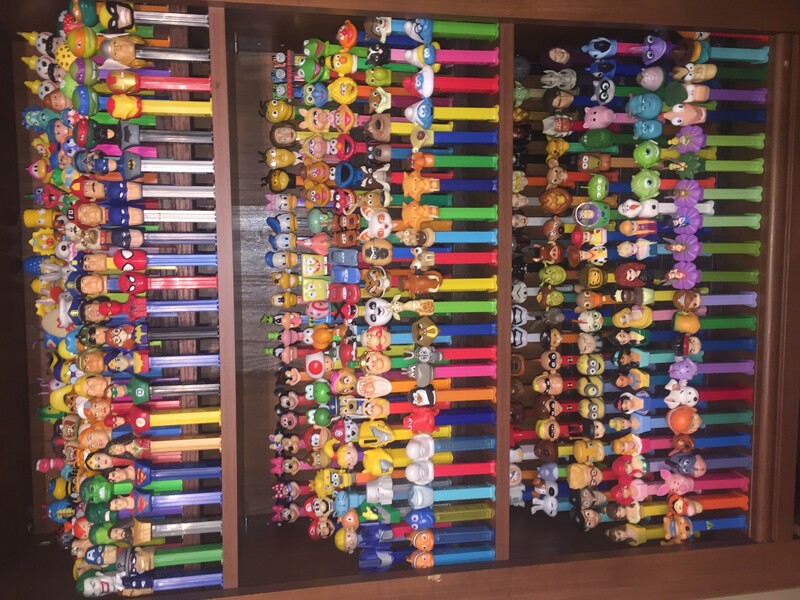 If you want to shop online, there are different Facebook pages where people sell PEZ and there you can meet other "PEZ heads," you can shop on eBay, www.pez.com. I also suggest following PEZ on social media to be up to date with new PEZ releases. I love that PEZ are something from my childhood that I can hold onto forever. PEZ collecting is a hobby that I can cherish throughout my entire life. Young or old, PEZ are for anyone! I also love how colorful and detailed they are. Also, another thing that I love about PEZ is simply reorganizing my dispensers and displaying them. Everyone who knows me says that they cannot look at a PEZ dispensers without thinking of me.